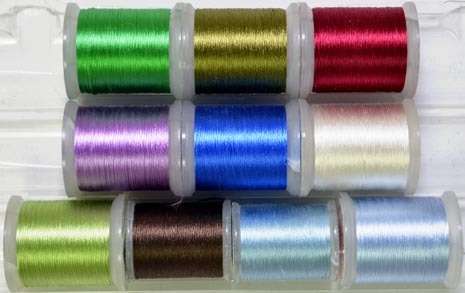 UNI-Floss is an all purpose body floss manufactured of 100% rayon. 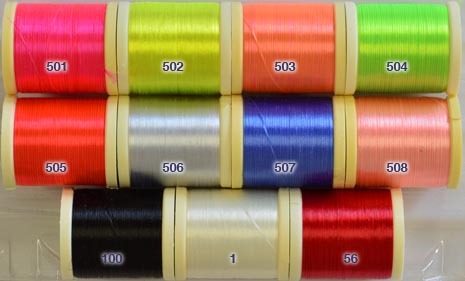 It is a single strand floss, 600 denier, strong and shiny. 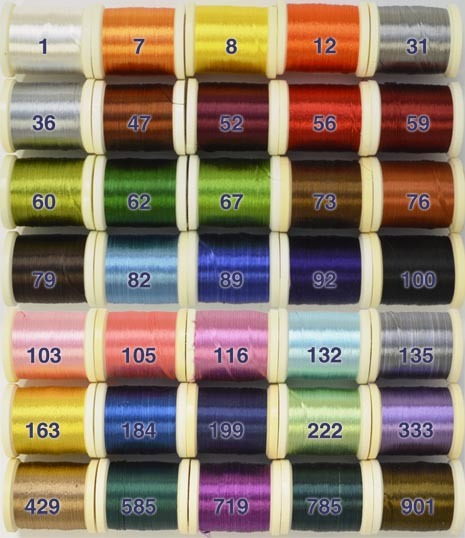 Salmon fly dressers (as well as other fly-tiers) will appreciate the wide range of 30 pattern matching colours. Tired of having strands of floss separate and slide down the hook bend? UNI-Stretch, will solve your problems. This stretch nylon material is easy to wrap, stays in place, and makes excellent underbodies as well. 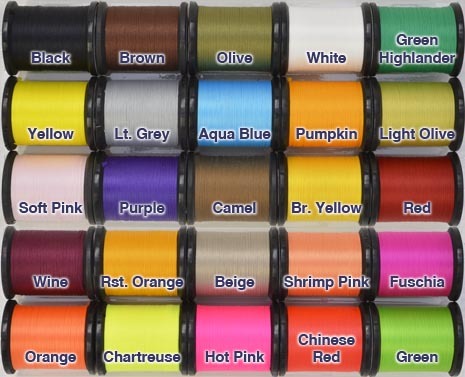 UNI-Flexx is a fine elastic strand. Some like to use it as a floss replacement because it is much easier to handle. 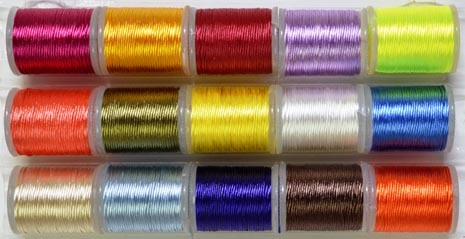 The stretch permits the material to be laid on the hook with a variety of tensions, thus reducing or avoiding slippage. 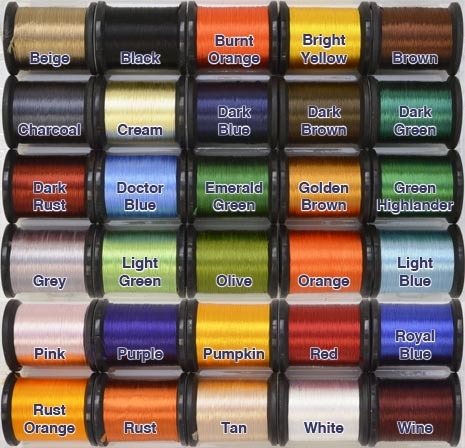 In many cases it is not the stretch which is most important, rather the texture and stiffness and availability in a variety of vibrant colours. Moreover, the material retains the original colour when wet, unlike many others. Regrettably, this product is no longer available from Lagartun, so our supply is becoming more limitted. 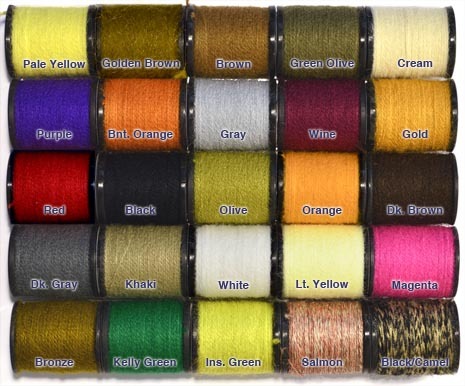 Uni Yarn is a standard, 2-strand, twisted, acrylic fly tying yarn, spooled instead of carded for convenience and to reduce waste. 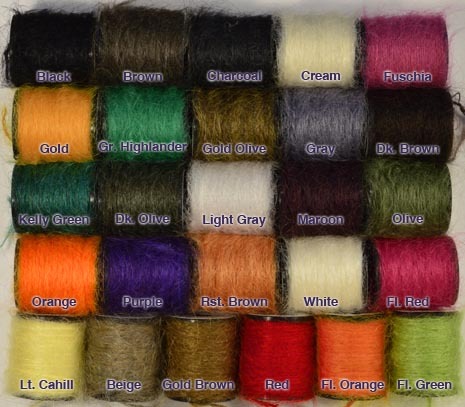 This long fibre, mohair yarn is great for tying leaches, spey flies, and many other patterns. 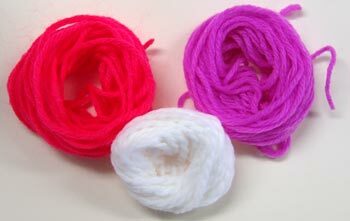 A sparkling 3 strand acrylic yarn with many uses. Standard fine diameter, dense for smooth bodies. 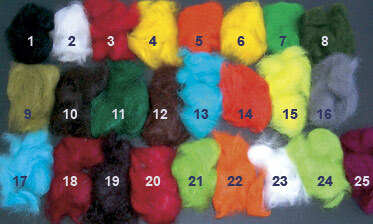 100% rabbit hair perfectly blended and available in every color including 3 Hares Ear blends.